Want to Join? Click on “Join” on the left of the Blue Ribbon above. 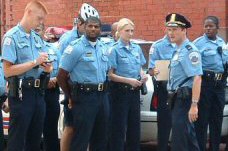 The Association of Retired Police Officer (AORP) represents retired police officers in the Washington, D.C. Metropolitan area. The agencies included are the Metropolitan Police Department (MPD), the U.S. Park Police (USPP), the U.S. Secret Service Uniformed Division (USSS/UD), the U.S. Secret Service (USSS) and the U.S. Capitol Police. The organization was chartered in 1935 and the AORP has a long record of assisting and representing retired police officers and their families. By joining AORP, you become a member of our police retirement community. Benefits of joining include access to our web site, AORP Newsletter, retirement information and legislation that affects you, links to several web sites that are beneficial to retirees and access to 5,000 plus retired DC Area police officers. Access to our web site is via a password that only AORP members with a current membership can obtain, so if you qualify consider becoming a member. See the Join page for membership specifics. If you are an AORP member and need a password, go to AORP Web Site Member Access to apply for a password. Please see the Meetings link for details.